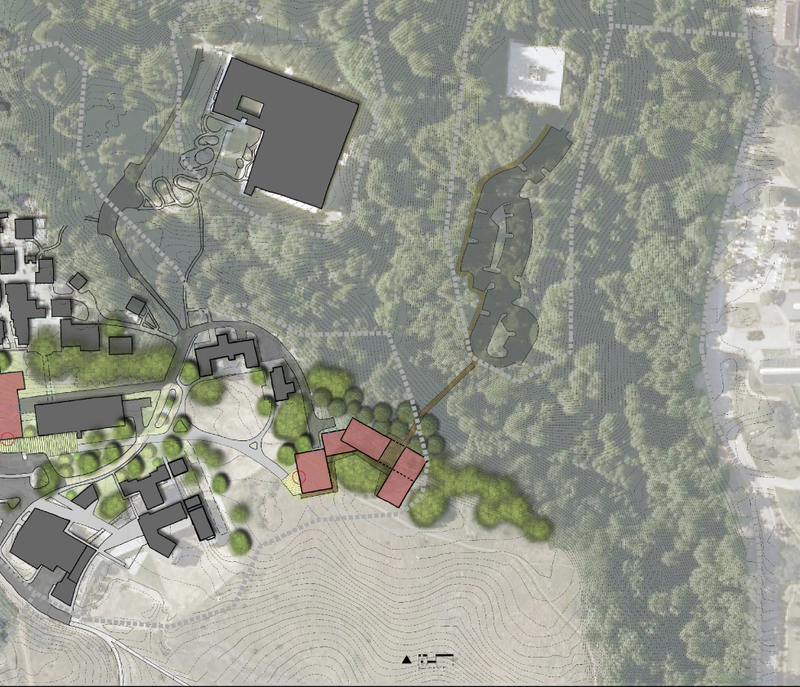 For weeks we’ve been hearing murmurs about the hottest RFQ in California: the UC Santa Cruz Insitute of Arts and Sciences, a hilltop museum, research center, and innovation hub on one of the most beautiful campuses in the country. Finally the shortlist has been announced, and it features a group of very heavy hitters from around the country. The shortlist includes Steven Holl with TANNERHECHT; Tod Williams Billie Tsien with TEF; wHY design, Allied Works Architecture, Aidlin Darling Design, Jensen Architects with Ann Hamilton; and Fong & Chan with Patkau Architects. The list was culled from a group of 39 companies, and will be further slimmed to three by April. “We were delighted in the quality and the range of firms,” explained the Institute’s director, John Weber, who noted that the school was looking for design teams of varying scales and sensibilities. “We want to find the right partner to push us on how the building can respond to the mission of the Institute,” Weber said. “The desire to have something like this has been around for a very long time, but it came into focus in the last couple of years,” said Weber. The Institute’s museum will contain interactive exhibits on topics ranging from climate change to cancer research, and the facility as a whole, measuring 27,000-31,000 square feet, will contain research and teaching facilities, seminar and conference spaces, study areas, a cafe, and more. “The vision is to engage the issues of our time through the arts, sciences, humanities and technology based on research here at UC Santa Cruz and bringing in material that complements and pushes what’s going on here,” said Weber. The site, he added, is “really spectacular,” wedged between a forest of Redwoods and Ancient Oaks above and a grand meadow overlooking the Pacific below. There will be a public presentation of the final three teams’ schemes on April 3 at UCSC. The $32-40 million project’s completion date will depend on ongoing fundraising, added Weber.